On behalf of the Search Committee and Board of Directors of the Inter-American Academy (IAA) in Guayaquil, Ecuador, we are pleased to announce that after a worldwide search which produced a large number of highly qualified candidates, Dr. Donald (Don) Francis has been appointed as the new IAA Director to begin with the 2018-19 academic year. Dr. Francis is currently Director of Awsaj Academy in Doha, Qatar. Prior to his current position, Don was the Secondary School Principal at Awsaj Academy. He has also held other administrative and teaching positions in the USA and in Bogota, Colombia. Dr. Francis earned a B.A. in English and Spanish from Eastern Washington University, and an MA in Curriculum and Instruction, also from Eastern Washington University. His Ed.D. was awarded by Washington State University. The Search Committee, Board of Directors and Search Associates would like to thank all candidates who expressed interest in the IAA Director search, and to everyone who assisted and supported the search process. 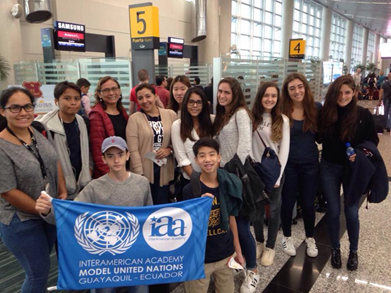 The InterAmerican Academy (IAA) is a private, non-profit day school governed by a seven-member Board of Directors and supported by tuition and fees. The program is co-educational, non-residential, and provides English language instruction from nursery (age two) through grade twelve. The academy offers a demanding college preparatory curriculum leading to a U.S. high school diploma. Although the courses are designed to meet U.S. diploma standards, we prepare students for entrance into colleges and universities around the world. Most seniors choose to attend post-secondary institutions in the United States, Europe, Canada, and Ecuador. IAA is accredited by the Southern Association of Colleges and Schools (SACS) and is recognized by the Ecuadorian Ministry of Education. IAA’s current enrollment is about 250 students. The graduating class of 2017 consists of 10 students. Our faculty is comprised of 33 professionals who hold teaching credentials which meet SACS standards. Most of our faculty is proficient in two or more languages. The IAA community is highly diverse, with a student population from over 26 different nationalities. Sharing the responsibility with all the members of the school community for advancing the school's mission. This world-class quality education takes place on a well-developed campus. 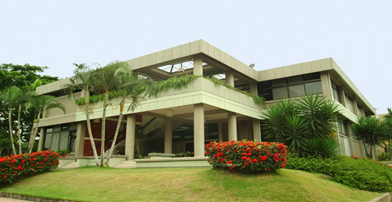 IAA is fortunate to be situated in the Puerto Azul suburb of Guayaquil, on a 27,400 square-meter site with beautifully landscaped playing fields and gardens--complete with iguanas! The IAA campus has 34 classrooms, a fully equipped Library, a 25 meter semi-Olympic swimming pool, a covered multi-purpose court, playgrounds, cafeteria and lots of green spaces for students and staff to enjoy. The campus includes two fully equipped Science labs, 2 computer/ media laboratories, and computer stations in each elementary classroom. Our library houses over 13,000 volumes, various periodicals and other print and non-print materials. 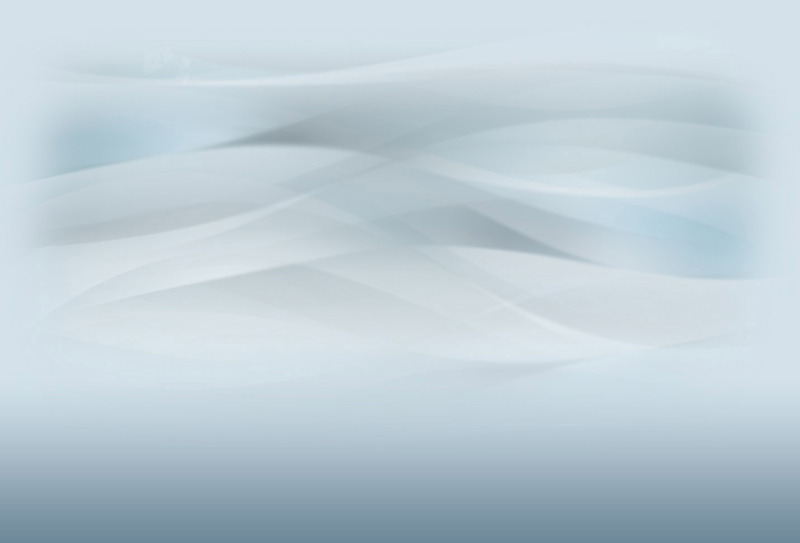 Wireless access is available campus-wide. Other improvements are being made as outlined in our school technology plan. The current enrollment, over 260 students from 26 countries, is split roughly into thirds with 30% U.S. citizens, 40% Ecuadorian, and 30% other nationalities. 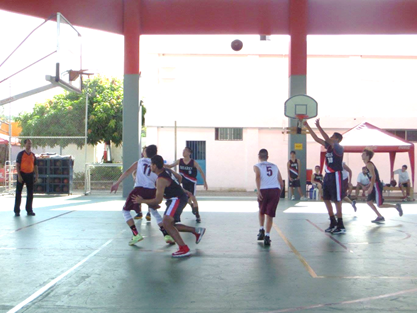 The academic year consists of 190 student contact days divided into two semesters. Classes run from approximately the first week of August to the third week of June. Teachers are contracted for 200 days. IAA administrators include the Director; Business Manager; Secondary Principal/Curriculum Coordinator; Guidance Counselor/Admissions Coordinator; Public Relations Coordinator, and Administrative Assistant/Human Resources Director. 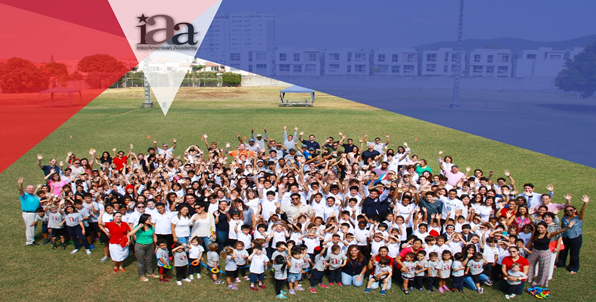 IAA employs approximately 35 teachers with one third being US citizens. 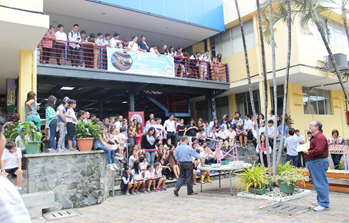 Accredited by Advanc-Ed, IAA is among the premier schools in Guayaquil, and the only with the US calendar. 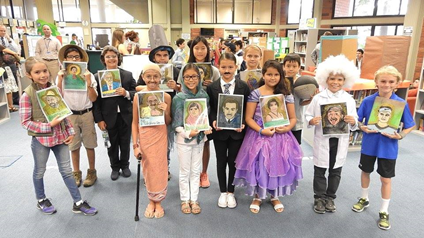 IAA challenges students to achieve academic excellence following a college preparatory curriculum using U.S. academic standards with instruction in the English language. This curriculum is based on the best practices in U.S. and international education. We value community service and responsible global citizenship. We promote the integral development of our students within a multicultural setting. The core program includes Common Core English, Spanish, Mathematics, Science (NGSS), and Social Studies, complemented by instruction in Art, Computers, Music and Physical Education at each grade level. Students and teachers in grades 6-12 enjoy the benefits of our 1 to 1 laptop program. A rich extracurricular activity and an athletic program are available for students from pre-kindergarten through twelfth grade. A seven-member Board of Directors governs the school. It consists of seven elected board members, one non-voting Consulate General Representative, and the Director serving in a non-voting advisory capacity. The Board of Directors meets monthly during the school year, attends an annual training session, meets in extraordinary meetings as necessary, and is available during the school’s annual General Assembly presentation to families and staff. Ecuador is one of the most beautiful countries on the planet. It is set on the equator, and it is home to volcanic mountains, lush jungle and beautiful Pacific coastline. The people are very friendly, and it has cities that are full of life. Guayaquil is the largest city of Ecuador with a metropolitan population of over 3 million and serves as the country's economic center. Guayaquil is located on the Guayas River and operates the largest seaport in the country. It has a warm climate year long. Typical high temperatures in the warmer months of January through April 32 °C. In addition, these warmer months of January through April also bring the rainy season with them. Ecuador is also home of the beautiful Galapagos Islands. The isolation of these volcanic islands has turned them into a living museum of evolution, where all is not as it seems. Puckered, giant tortoises can walk these rocks for over two centuries, and tiny finches have forgotten how to be afraid of humans. Cormorants have lost their ability to fly, yet iguanas have learned to swim. This is a worthy, wildlife Mecca that will inspire your inner biologist. On track to become STEM certified, 2017-18. Political landscape becoming more challenging. Continue professional development of faculty regarding new initiatives. The Director is responsible to the Board of Directors and for providing a direction of the school reflective of the academic requirements of the state and independent primary and secondary schools in the countries of the chartering Embassies. He/she exercises general supervision over the faculty and administrative staff of the School; implements Board policy; and has direct responsibility for the management, organization and supervision of all school activities. The Director also works with the Board to develop and implement the IAA Strategic Plan. Salary for the Director’s position will be commensurate with the candidate’s qualifications and experience. Benefits include a travel allowance, an automobile for personal and professional use, furnished housing with utility allowance, health insurance, tuition for school-age dependents, retirement contribution, and a shipping allowance for household goods. The InterAmerican Academy (IAA) has appointed Search Associates as consultant in the Director search with Ralph Jahr and David Cramer being the lead consultants. The deadline for applications is 23 June 2017. Candidates are asked to submit a letter of interest and the requested materials as early as possible as the Search Committee/Board of Directors reserves the right to close the selection process at any time if the right candidate is found. The review of files will begin as soon as applications are received. Skype video interviews of selected candidates will take place on a rolling basis and can be scheduled at any time after applications have been received. Site visits will be arranged for finalist candidates in early August. The new Director will be selected immediately after interviews of the finalist candidates have been completed. Current plans are to have the new Director identified prior to the end of August 2017. A letter of application describing your interest in the Director position at the InterAmerican Academy in Guayaquil, Ecuador, listing your strengths as a candidate and how your qualifications and experience align with the profile of the desired candidate.